On June 1, YPT-NYC and APA New York Metropolitan Chapter teamed up to host the first Transportation Scavenger Hunt! About 17 teams gathered at Union Square on a 90 degree day, ready to scour the city for transportation related trivia. Teams rushed to solve riddles and tackle challenges that brought them as far north as the George Washington Bridge, and as far south as the newly opened Smith-9th St. station in Carroll Gardens, Brooklyn –all within 3 hours. 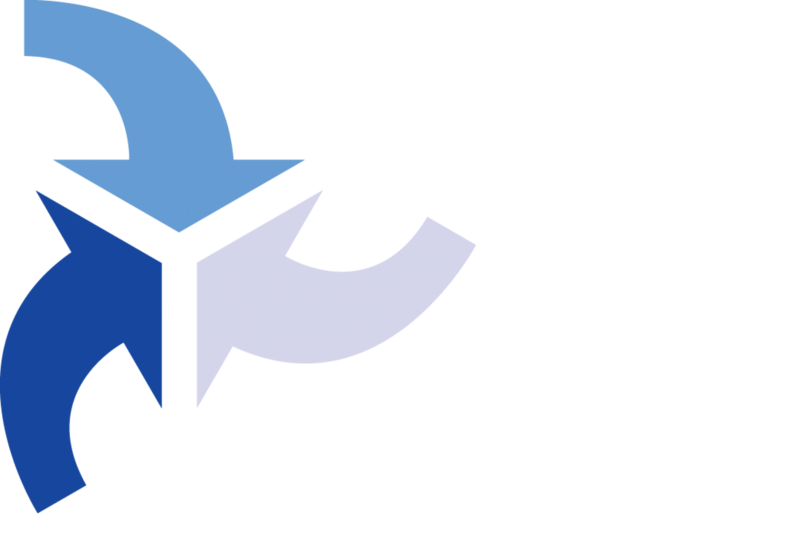 Because there were more clues than could be solved, teams had to prioritize clues and select the most efficient route (using any mode of transportation) to have a chance at winning. The winning team’s strategy: We came up with answers to most of the clues, then sorted out the red herrings (there are no horse-drawn carriages in 91 degrees). Then we figured out a route that would allow us to best use our time, even then we had to shave off some stops and run here and there. We started at the Union Square area up to GCT, then shuttled over to Times Square, then took a yellow train to Herald Square, then walked to Penn Station, then we took the train to 14th street to grab some more pics, then grabbed a pic of Canal street while speeding through on the A/C train, and then went hog wild around the Fulton area stop. I forgot there was a lighthouse at the seaport until I was grabbing my SBS ticket. Originally we were going to then ride the SBS to First and First, grab some points there, then take the F to Smith & 9th, then ride back to the vicinity of the Transit Museum. Instead we just went from the seaport to the Transit Museum since that was the last bonanza we’d be able to grab before having to head to the Bierhalle. The hunt ended at Die Koelner Bierhalle in Park Slope, Brooklyn, where teams enjoyed beer and German-themed snacks, and saw their photos projected on a large screen in the center of the hall. Q: The 1997 Men in Black Headquarters entrance. Q: What’s black and yellow, checkered, and can carry up to 149 passengers? Q: Find the only way to get from 23rd Street to Christopher Street for $2.25. Q: Find the newest non-integer “avenue” in midtown Manhattan. 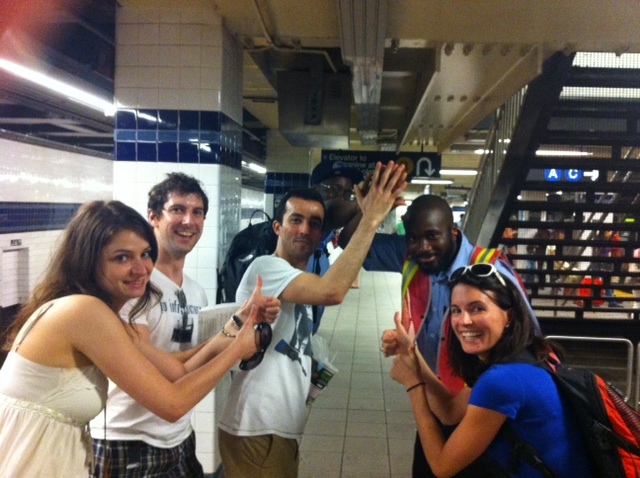 Q: Get a photo of your team giving a high five to a uniformed/vested MTA employee/conductor (who is not participating in the scavenger hunt)! Congratulations to the winning team: Ashley Emerole, Max Miller, and Mimi Brownstone! Thank you to APA New York Metropolitan Chapter for working with YPT-NYC on such a successful event!